(#12, medium-sized company). 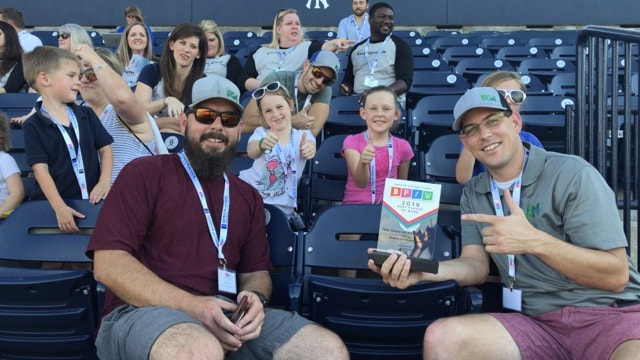 PGA'ers and their families accepted the award on Friday at Steinbrenner Field. 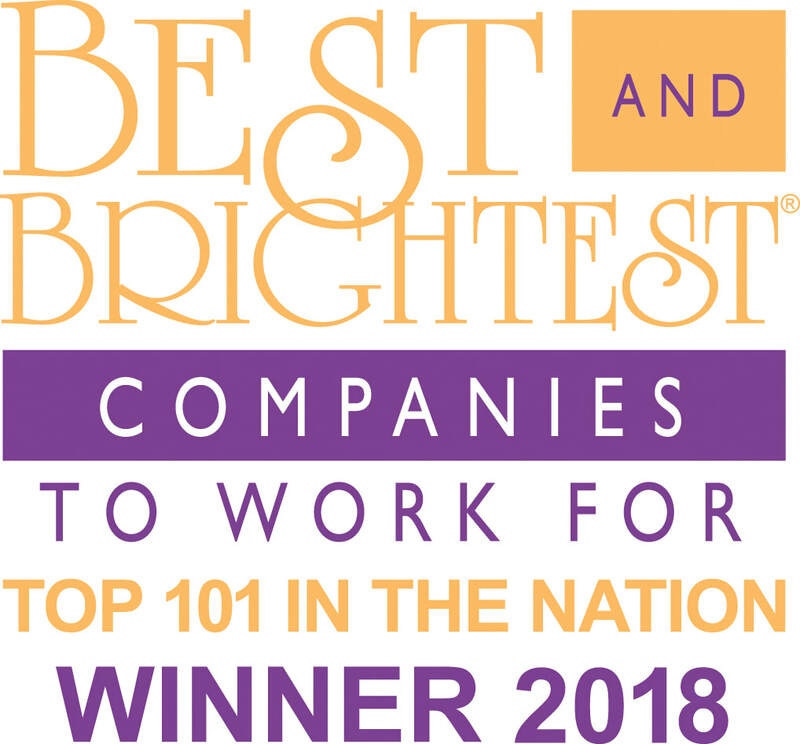 PGA was a recipient of the 2018 "Best and Brightest" companies to work in the country award . GO PGA! PGA ranked in Zweig's 2018 awards in the categories of "Hot Firms", "Best Places to Work," and "Marketing." PGA also received the "TriFecta award" for placing in all 3 categories. These awards are a testament to our hard working employees who make PGA a great firm. 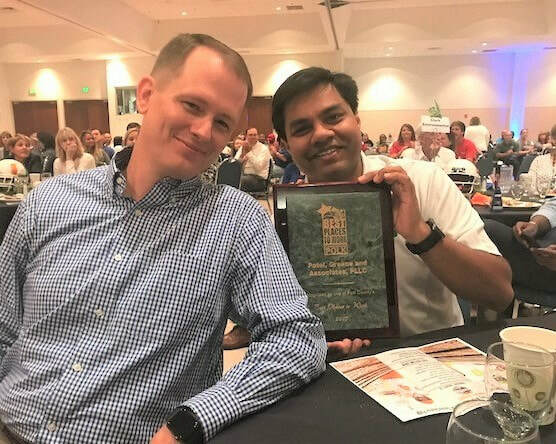 Hiren and Gordon attended the official awards ceremony in Dallas, Texas. 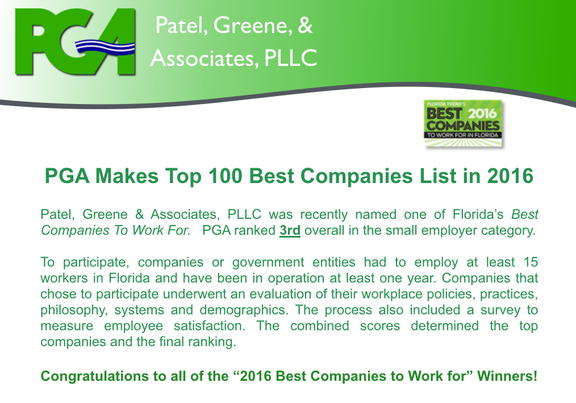 PGA was recognized as one of the 2018 "Best Places to Work" in Polk County by CareerSource. GO PGA! 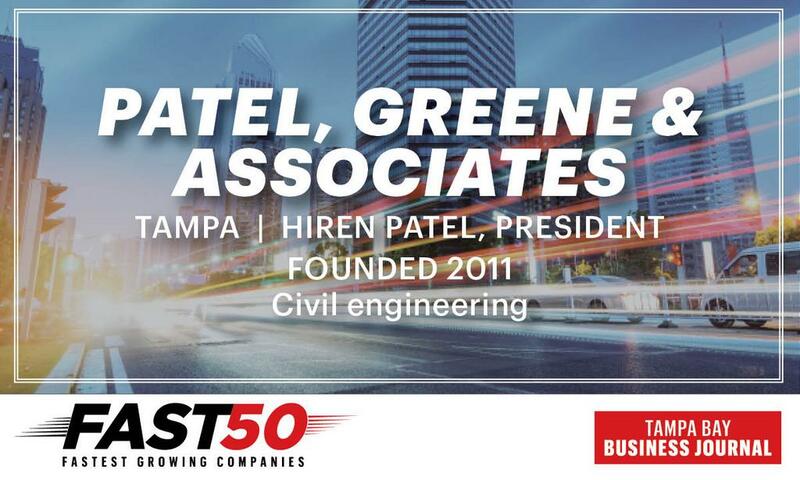 PGA has been ranked #14 on Tampa Bay Business Journal's 2018 Fast 50 List. 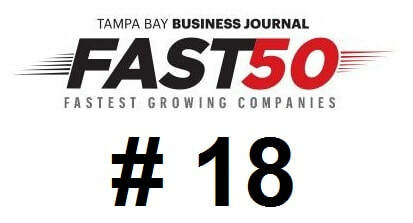 This award recognizes the 50 fastest growing firms in the Tampa Bay area. Click here to see our article in the Tampa Bay Business Journal. GO PGA! PGA is the proud recipient of the 2018 USF Fast 56 Award! We finished 15th out of 56 companies that received awards. 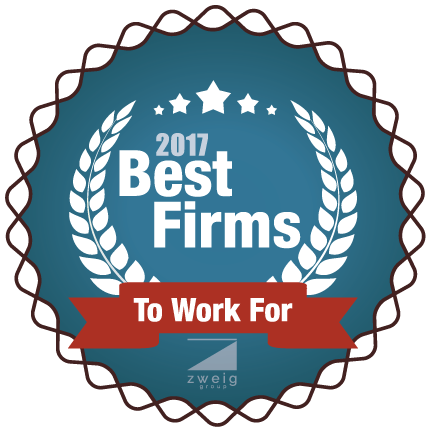 PGA ranked #7 on Zweig Group's "Best Firms to Work For" list and #55 on their "Hot Firms" list for 2017. These awards are a testament to our hard working employees who make PGA a great firm. Hiren and Gordon attended the official awards ceremony in Seattle, Washington. 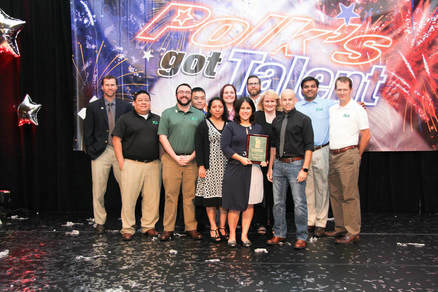 PGA was recognized as one of the "Best Places to Work" in Polk County by CareerSource. GO PGA! PGA received some exciting news! We were ranked #5 on Florida Trend's "Best Small Companies to Work For" list. This award recognizes the best small companies to work for in Florida. GO PGA! PGA has been ranked #18 on Tampa Bay Business Journal's 2017 Fast 50 List. This award recognizes the 50 fastest growing firms in the Tampa Bay area. Click here to see our article in the Tampa Bay Business Journal. GO PGA! 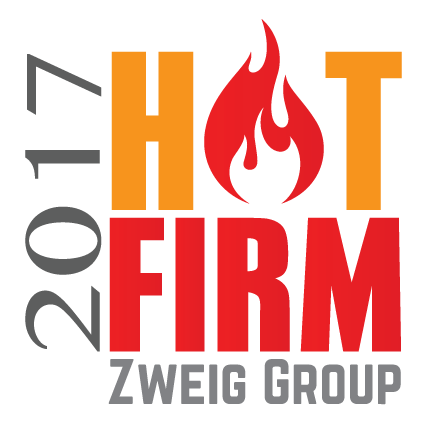 PGA ranked #7 on Zweig Group's "Best Firms to Work For" list and #55 on their "Hot Firms" list for 2017. These awards are a testament to our hard working employees who make PGA a great firm. We are excited to receive these awards! PGA makes Top 100 Best Companies List in 2016! 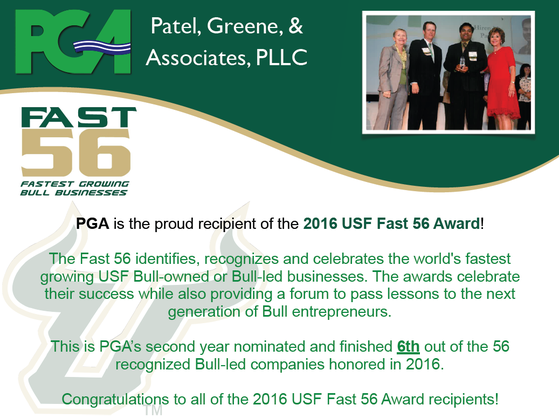 PGA is the proud recipient of the 2016 USF Fast 56 Award! We finished 6th out of 56 companies that received awards. 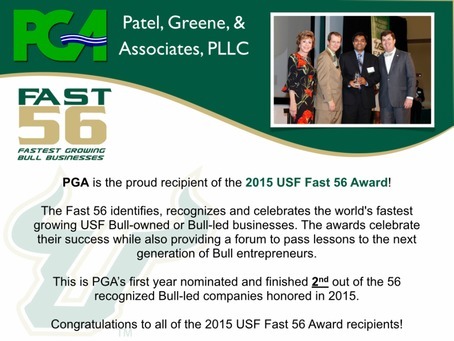 PGA is the proud recipient of the 2015 USF Fast 56 Award! We finished 2nd out of 56 companies that received awards.